The Attorneys of the Law Office of Scott Glassman, P.A. 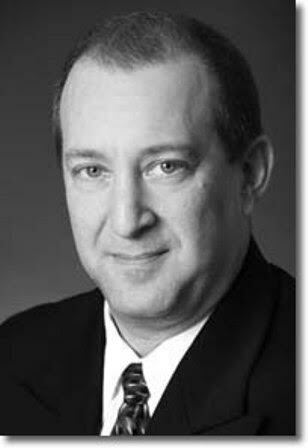 Attorney Scott Glassman was born in New Jersey and has been a Palm Beach County resident since 1973. After graduating from Santaluces High School, Scott attended the University of Florida, where he earned both a B.S. in Business Administration with high honors and a J.D. Scott's undergraduate major was finance, which helps make him well suited to understand the financial issues within your case. While at the University of Florida, Scott was a member of Delta Sigma Pi business fraternity and a member of the Law School's Journal of Law and Public Policy. He has been a member of the Florida bar since 1992.Scott's reputation for working hard and dedicating himself to his clients has allowed him to build up his practice by focusing on getting the best results for his clients. He has gained particular experience handling contested child custody issues, as well as representing the State of Florida Department of Revenue in thousands of child support cases. 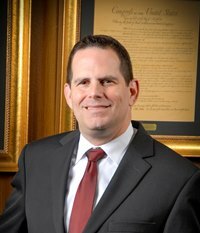 Scott now focuses his time on all legal matters relating to children, especially paternity, and providing knowledgeable representation to clients involved in all types of divorce such as uncontested divorces and high-asset divorces.Since graduating from law school, Scott has been an active member of his community. He has served as a Board member of Rebecca's House, a Board Member and officer of the Jewish Federation of Palm Beach County Young Leadership Division, and has also served as board member of Alpert Jewish Family and Children's Service. Attorney Sue-Ellen Kenny began her career more than 20 years ago while working as a staff attorney with the Legal Aid Society of Palm Beach County. Over the past two-plus decades, she has gained considerable experience handling various family legal matters and all levels of civil and criminal appeals. 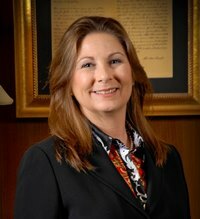 You can now find her listed as the attorney of record in nearly 500 appellate opinions in state and federal courts in Florida. While Sue-Ellen is adept at handling any family law issue that arises, she also enjoys spending her time handling various aspects of civil and criminal appeals. In addition to representing her clients in all aspects of an appeal, she also makes herself available to handle outside litigation support for lawyers throughout Florida. She especially enjoys legal argument and representing clients in court. Indeed, she has presented 50 oral arguments before the Florida Supreme Court; the Fourth District Court of Appeal; and the United States Circuit Court of Appeal, Eleventh Circuit. She has also conducted evidentiary hearings before the United States District Court, Southern District of Florida. Sue-Ellen takes her career seriously, and spends a great deal of her free time collaborating with other attorneys in several professional associations. She is also an adjunct professor at Nova Southeastern University, teaching courses on legal writing and criminal evidence and procedure. Mr. Bornstein has nearly thirty (30) years of experience handling complex marital and family law litigation and collaborative divorce matters for clients across the State of Florida. He also has extensive experience in probate and guardianship cases. He serves as a mediator, guardian ad litem, and attorney ad litem in family law cases and probate matters. Mr. Bornstein is a frequent lecturer on marital and family law topics, has several reported appellate opinions, and has argued before the Florida Supreme Court. service and dedication to Florida's families and the Family Law Section of the Florida Bar.